Yahoo! Inc. (YHOO) Worth More Post Breakup Says Gabelli & Co. It has been a really difficult time for both Marissa Mayer and Yahoo! Inc. (NASDAQ:YHOO), as the activist investors raise pressure for a potential merger. According to the investment advisory firm, Gabelli & Co., the last decade Internet giant is worth more if broken into meaningful businesses. Starboard Value LP raised its pressure on Yahoo! 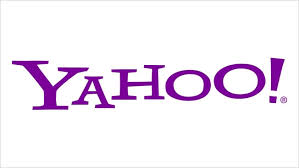 Inc. (NASDAQ:YHOO) for a potential merger with AOL, Inc (NASDAQ:AOL) and selling its existing stake in Yahoo Japan and Alibaba Group Holding Ltd (NYSE:BABA). Analysts are expecting a gain of up to $11 billion from breakup and Starboard has laid a plan to offer more value to the shareholders of the technology firm. Harris said that Yahoo is a good acquisition target for Alibaba Group Holding Ltd (NYSE:BABA) and Softbank Corp (TYO:9984). Alibaba Group could buy back its shares from yahoo whereas Softbank Corp can increase its stake in Yahoo Japan Corporation (TYO:4689). As per the data compiled by Bloomberg, Yahoo has lost both its revenue and EBITDA since Mayer became the CEO and started a spree of takeovers. Yahoo! Inc. (NASDAQ:YHOO)’s EBITDA has fallen to $948 million from $1.8 billion along with a 7% decline in revenue during the same period.